Installed the latest version of Tidepool Mobile on a compatible iOS device. You can download Tidepool Mobile from the App Store. 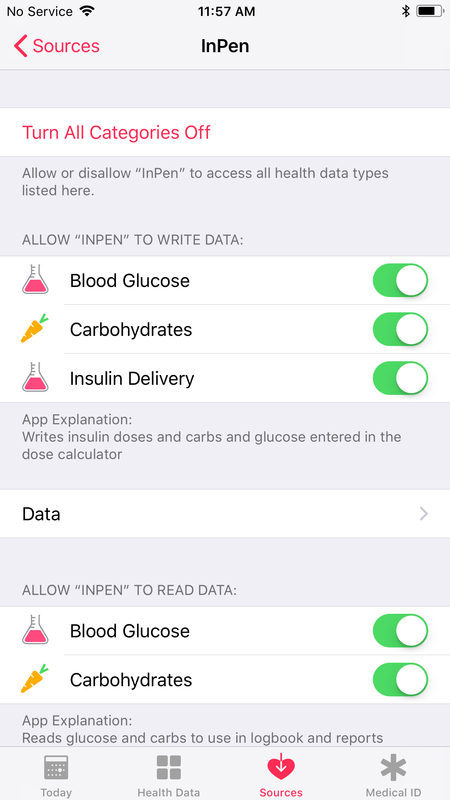 At least one iOS app writing insulin, blood glucose, carbohydrate, or activity data to Apple HealthKit that you want to upload to Tidepool. 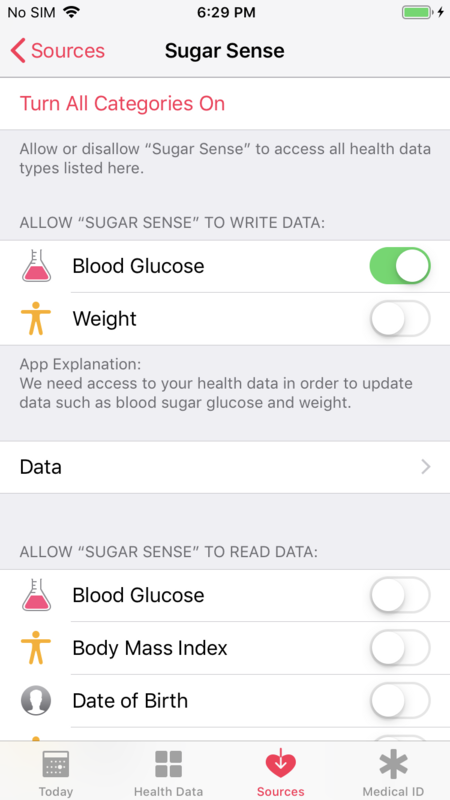 The process for uploading your diabetes data from your iPhone from any diabetes app to Tidepool follows the same general process. 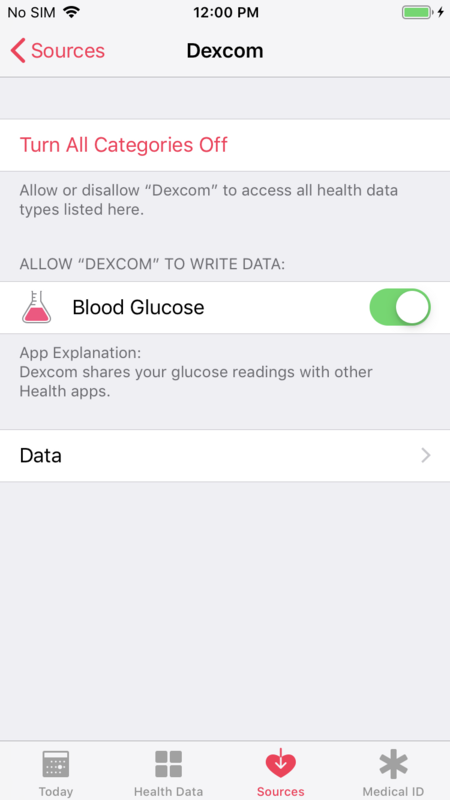 Make sure any diabetes app you want to upload to Tidepool is configured to write to Apple HealthKit. Refer to that app’s instructions for help. We've provided some examples below. 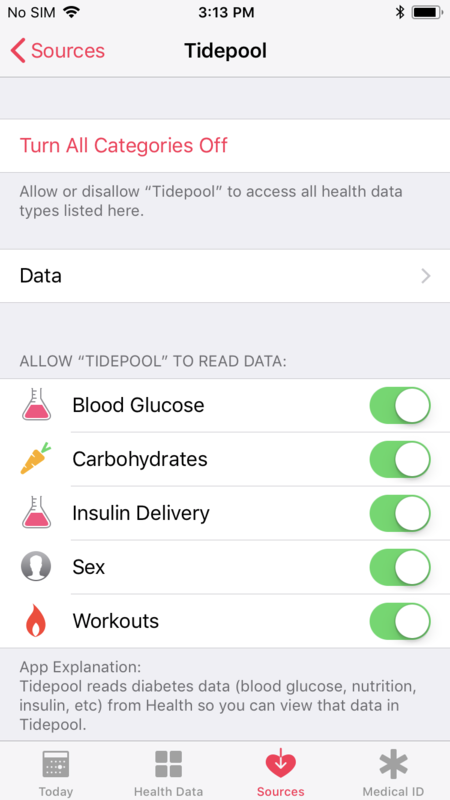 Make sure Tidepool Mobile is configured to read that same data from Apple HealthKit. Perform a manual sync of your data. In the Tidepool Mobile app, tap the menu icon on the top left. Connect to Health should already be toggled on. If it isn’t, toggle it on. 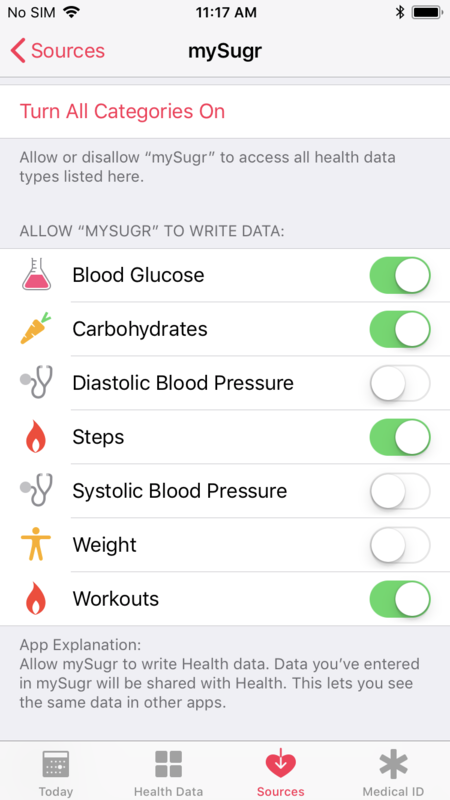 Tap “Sync Health data now”. Verify your data has successfully uploaded in Tidepool Mobile by making a note and opening that note. 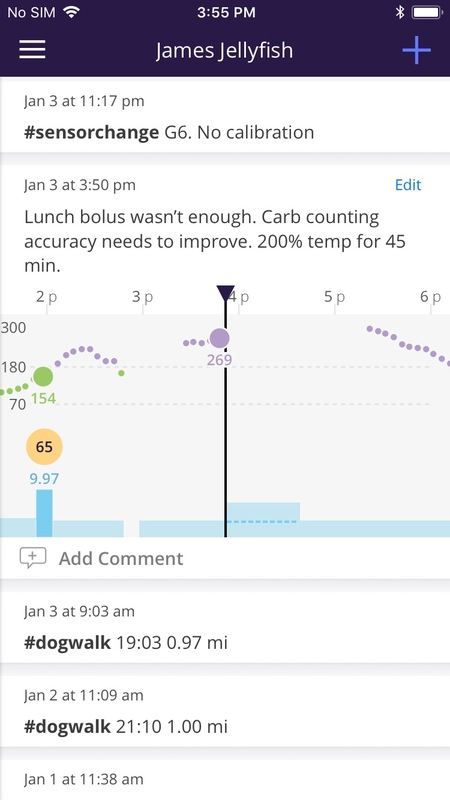 The time of your note will have to be within a few hours of your diabetes data. You can also verify your data has successfully uploaded in Tidepool Web by logging in to your account using Google Chrome on your computer. 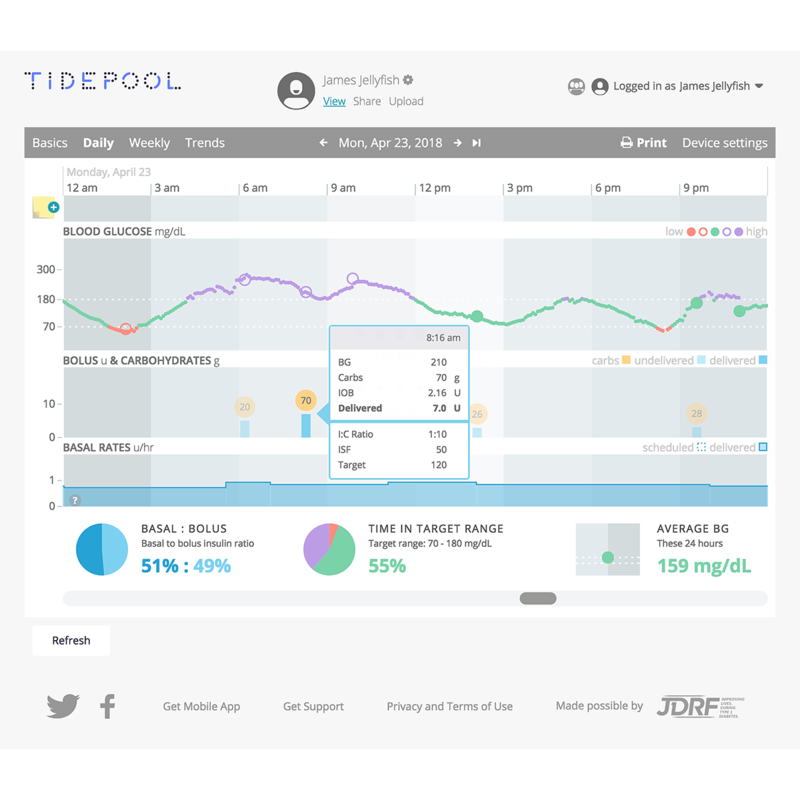 The Tidepool Mobile app will continuously upload your data in the background so long as the iPhone remains powered on and Tidepool Mobile has not been intentionally closed. 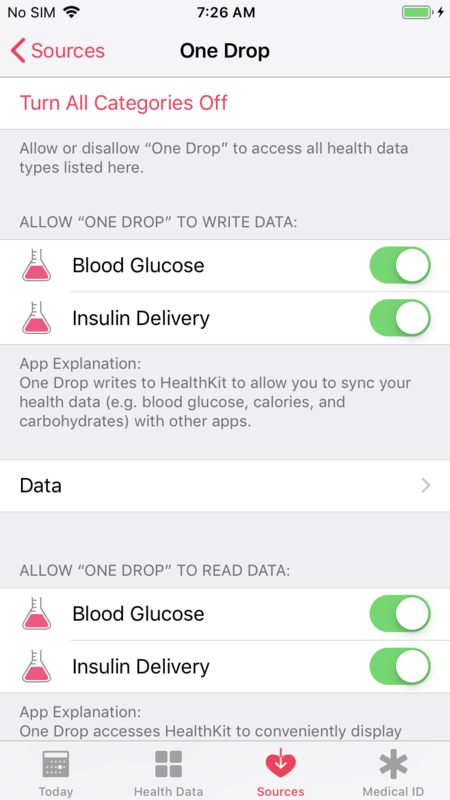 After you've synced all your health data once, you should not need to perform a manual sync again. 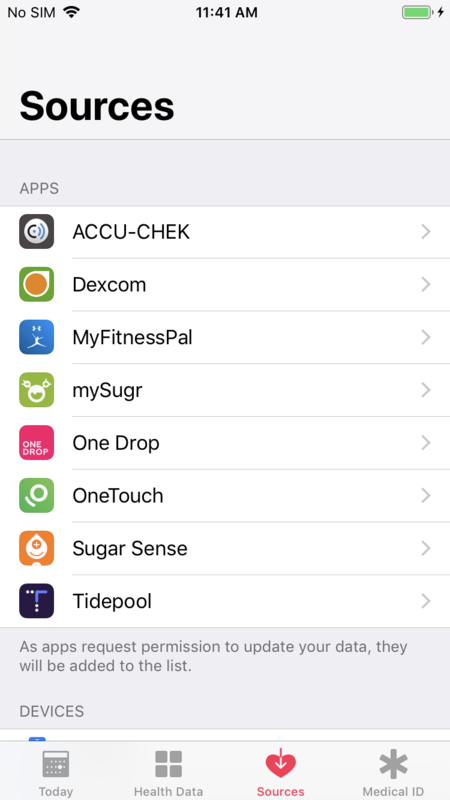 Select your desired diabetes app. Toggle the desired data you want that app to write to Apple HealthKit to “on”. When set to on, the toggle will be green. 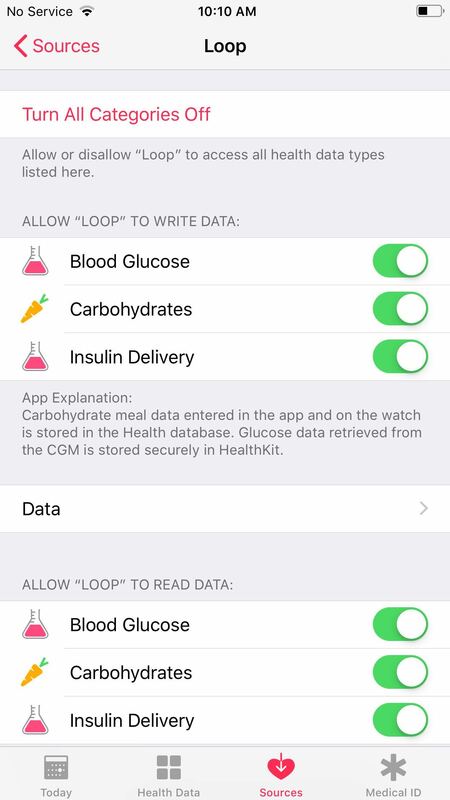 If you are already successfully using DIY Loop, please do not change any of your Apple Health permissions for any apps just in consideration of Tidepool Mobile uploading. In particular, do not turn on permissions for other apps writing carbohydrates to Health as this may cause unintentional double counting of carbohydrate entries. Please make sure you have completed your account registration, including setting up data storage by logging into your account at https://app.tidepool.org from your computer. 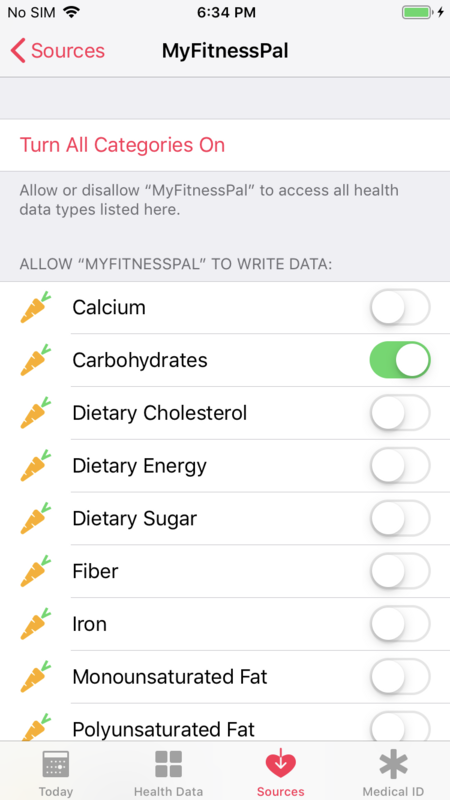 If you and your child each have a Tidepool account, please note that only accounts that upload data (likely your child’s account) will have the option in Tidepool Mobile to sync with Apple Health. 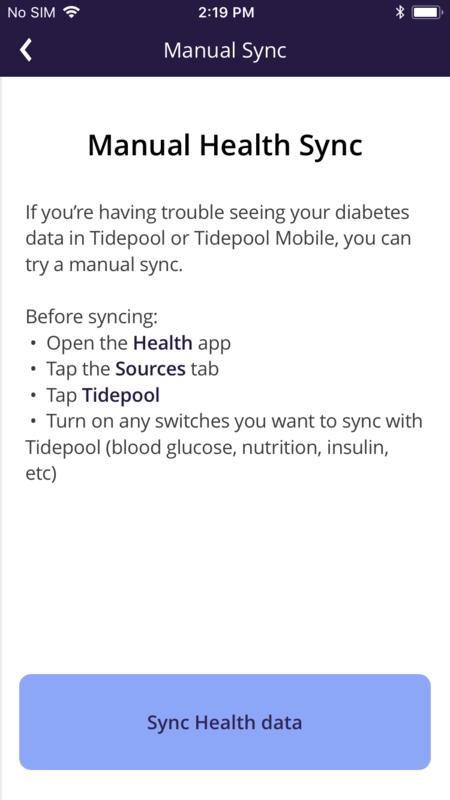 If you’d like the ability to upload your own diabetes data, log in to your account on using Google Chrome on your computer at https://app.tidepool.org and select “Create a Data Storage Account”. Completely uninstall and reinstall Tidepool Mobile on your iPhone and try connecting Tidepool Mobile to Apple Health again. In Tidepool Mobile, make a new note, then tap that note to open it and view your data. Using Google Chrome on your computer, login to your Tidepool account at https://app.tidepool.org.